Home / Business / Understand the customers! Its extremely important to understand how your users interact with your site. Suppose you are inviting a bunch of people for your house warming party. The setting of your house, the picture frames, furniture placement, light settings etc decide how the visitors will interact with your house. Things like where will they sit, where will they stand, what will they notice, how will they walk through your house etc. You as the host set all these things knowingly or unknowingly. And that ultimately decides the visitor opinion about your house. Just like you take the utmost care about the “visitor experience” at your house, your website speaks for your hosting capabilities online. 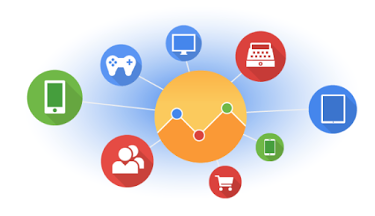 Universal Analytics introduces a set of features that change the way data is collected and organized in your Google Analytics account, so you can get a better understanding of how users interact with your online content. Based on this interaction data you can drive the visitors to a particular user experience. Connect multiple devices, sessions, and engagement data with the User ID – A true cross-device tracking that allows you to understand different interaction habits based on the device. Its important to understand and implement these features on your business, eCommerce website. Know who you are hosting so that you can define the user experience that is fulfilling for the users themselves and also beneficial for your business. You really don’t want to lose visitors because they could not find where things are on your website or just got lost because your navigation left them to themselves. Understanding visitor habits by collecting data is the best way to improve your website. We are here to help. This is exactly what we love to do at VGlobalTech. Call or email us today and start understanding your customers and grow your business. 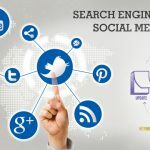 Call: 321-947-7777 or Email: contact@VGlobalTech.com for a FREE CONSULTATION or an immediate quote for SEO, SMO or Webdesign. Read More from original source on Google Site…..